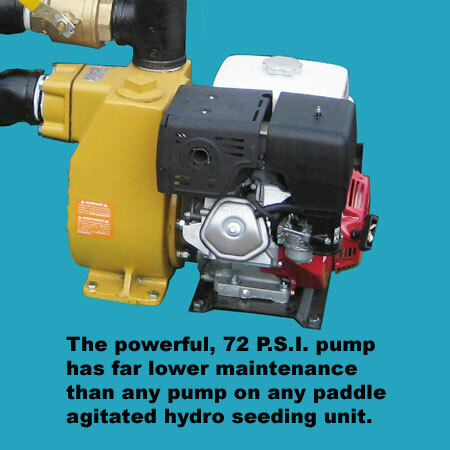 Turbo Turf's HY-750-HE "Hybrid" is the easiest paddle hydroseeder to use. 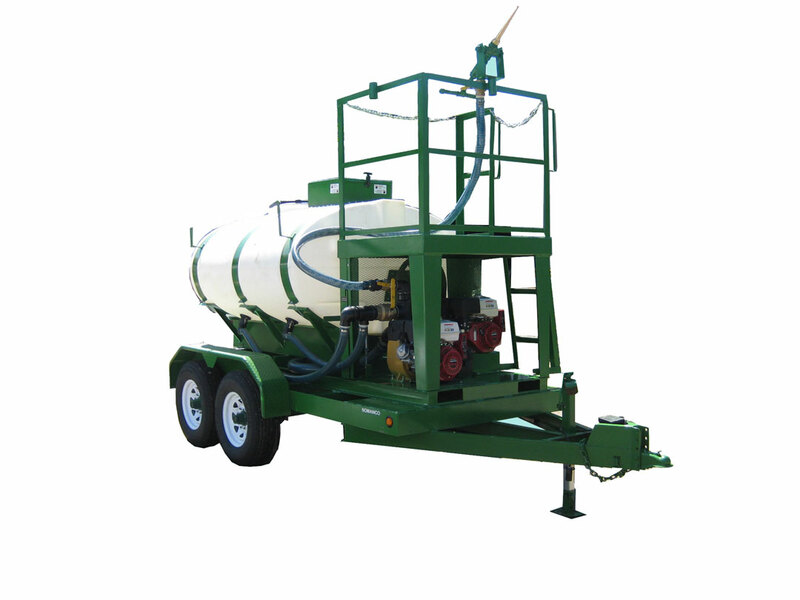 Turbo Turf’s HY-750-HE Hybrid Hydroseeder will mix thicker slurries. The Hybrid is easy to load. 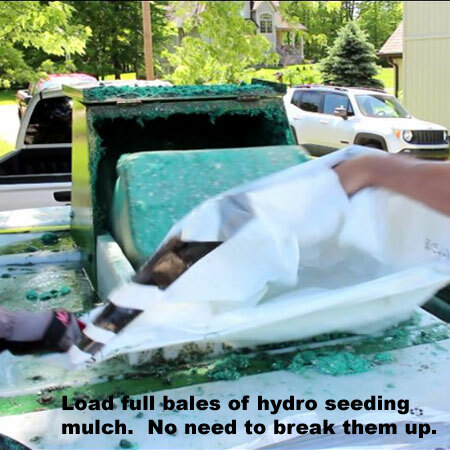 Full bales of paper or wood/paper blend hydroseeding mulch can be added and there is no need to break the mulch up. It has great spray power and the far superior trimming ability of a jet machine. 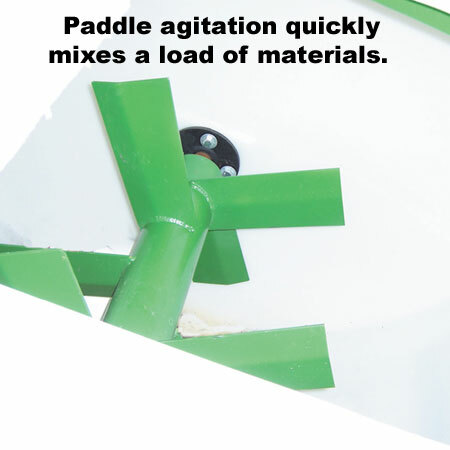 Clean up is not the big problem it is with other paddle agitated units. The jets will flush the whole tank in seconds. There is never a worry about rust. 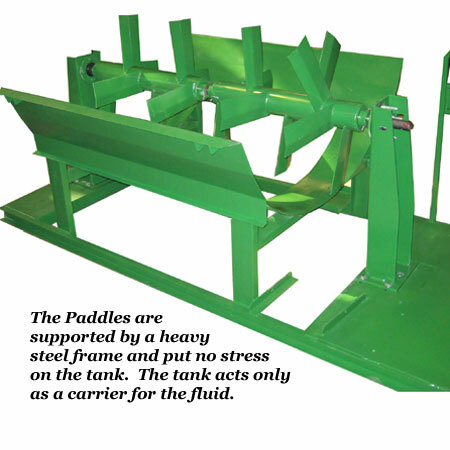 Many users of other paddle units avoid using fertilizer in their mix because of the corrosive nature of the nitrogen in the fertilizer. Turbo Turf’s hybrid does it all with never a worry about rust. Units with metal tanks have square corners where the sides meet the end and material builds up in those corners. 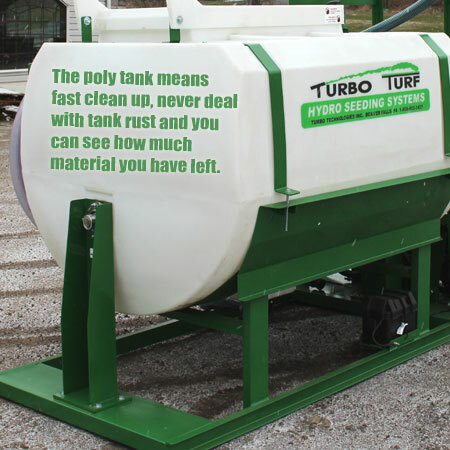 Turbo Turf’s molded tank has rounded corners which eliminate material build up. Turbo Turf’s HYBRID has a unique two engine design using two Honda electric start motors. This allows a far more simple and trouble free design than other units. The 3″ x 3″ 333 GPM, 72 PSI, high pressure centrifugal pump is directly coupled to 13 H.P electric start Honda engine and is capable of operating the unit independently as a jet machine. The pump on the Hybrid series of hydroseeders requires far less maintenance and service than any other pump on any other brand of hydroseeder. There is nothing to grease or adjust. There are no clutches, belts or chains in the pump drive. As long as you don’t run the pump dry or forget to winterize it you can expect do go many years and never touch the pump. The second motor, another 13 H.P electric start Honda uses a double v-belt drive to power the paddles. This drive is very simple and reliable and easy to service if there ever is a problem. 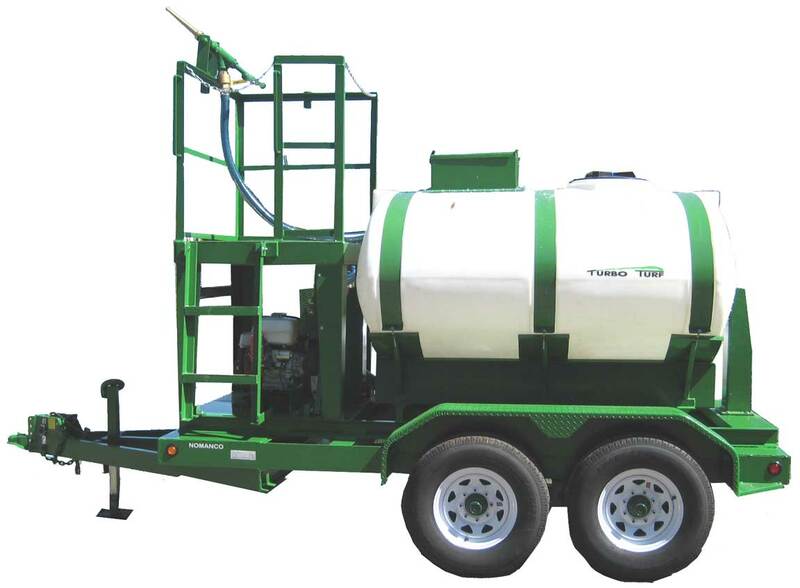 The HM-750-HE comes with 100′ of 1 1/2″ discharge hose with free flow couplings, a gun and three nozzles ( 1 wide hydro seeding nozzle, 1 straight distance nozzle, and 1 trim nozzle). The empty weight of the unit is 1900 pounds. the loaded weight is 7900 pounds. the physical dimensions are 75″W x 142″L x 90″H. The size of the skid frame on this unit is 48″W x 140″L. The HM-750-HE is ideal for a landscaper doing residential and commercial seeding with average jobs of 6,000 to 40,000 square feet. It is capable of handling much larger jobs. When hydroseeding large areas, a seeding rate of 3-4 acres per day is possible with a good water source. Time to spray a complete tank is about 15-20 minutes from the hose or 5-10 minutes from the platform gun . Mixing time is 2-5 minutes depending on material. This unit comes with 100′ of discharge hose. It will easily handle up to 250′ of hose. The spray distance with the straight nozzle is approximately 50′. The spray distance with 2″ cannon) is 90′. Typically materials used in one load would be 6 bales of hydroseeding mulch, the appropriate amount of seed for 10,000 sq. ft. (any seed will work in hydroseeding), and the appropriate fertilizer for 10,000 square feet (liquid, water soluble, or granular).